Saige had her surgery Monday and the whirlwind is still in full effect. Nobody in my family here has ever gone under anesthesia. That in itself was lingering in my mind beforehand. I mean there’s a reason why you sign that damn consent form. Regardless of that, I am a mom and that instinct just screams “I will cut you if you mess up my child”. On a lighter note, we spent the few days before surgery visiting with friends, prepping her room so that when she could go in there it wouldn’t need a bulldozer, and setting up her temporary recovery room in the office. With a 0600 showtime at the hospital, there wasn’t much sleep to be had by any of us the night before. We got an hour with her before she was rolled back to the “block” room. That hour consisted of her dropping of urine, changing into that notorious hospital gown (ever wonder why they just can’t be cute?…I mean, they are backless and seductive in the first place, might as well add a lace trim or some rosettes…just sayin), and then multiple visits from the staff (who, by the way, are way too weird for my taste). I worked in the OR in Georgia and the staff are just ‘off the wall’ insane. Military docs are no different…You got the shifty eyed surgeon who has a baby voice and looks 13, the abundantly tall anesthesia doc that probably plays lacrosse in his spare time and high fives at the bar, then you have the 100 year old Ortho nurse that is just waiting for you to ask a dumb question and stare at you funny because well, she worked on Truman’s hip and has no time for a 17 year old’s softball dreams. 😉 But still and yet, they are good at what they do and I appreciate their years spent in medical & nursing school. Who am I to judge their personality traits?…just remember, “I WILL cut you if you mess up my child”. Anyway, the surgery lasted 2 more hours than I had imagined. 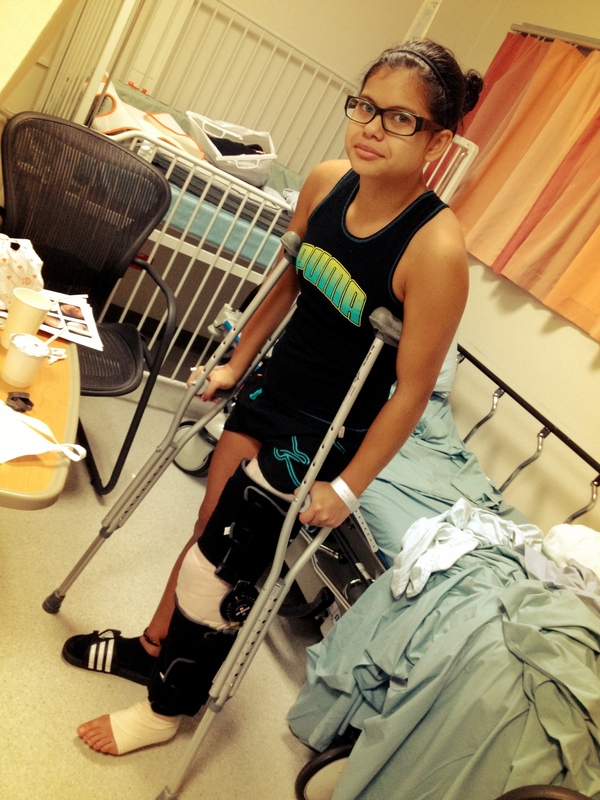 They were able to not only reconstruct her ACL, but also repair her meniscus (add two more hours). 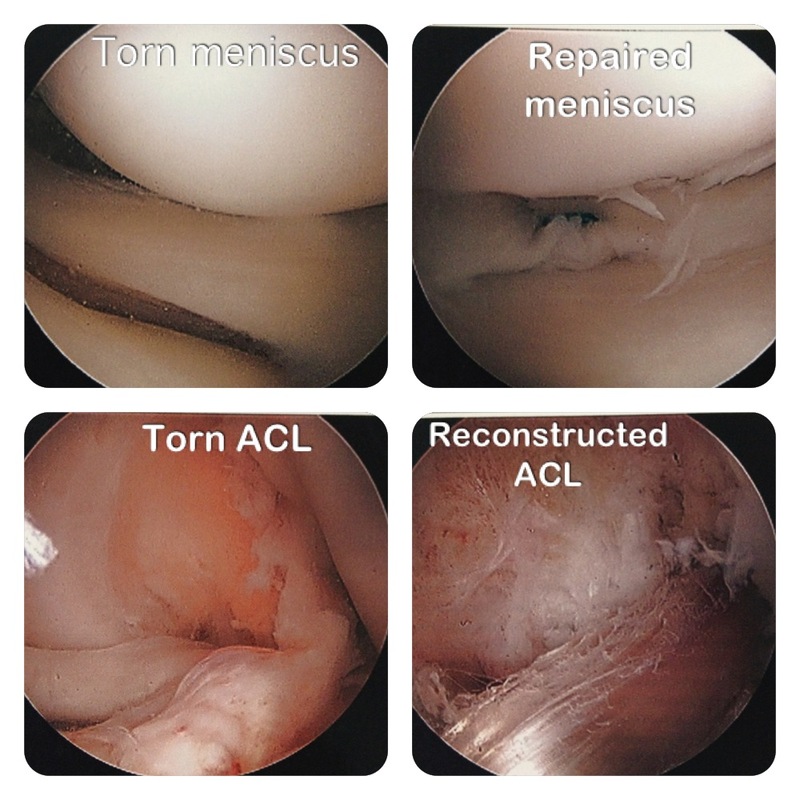 If you are a goofball like me and do not understand the whole ACL/meniscus business…here’s a quick visual rundown (via someone who knows nothing about it, but is good at relaying messages and information). 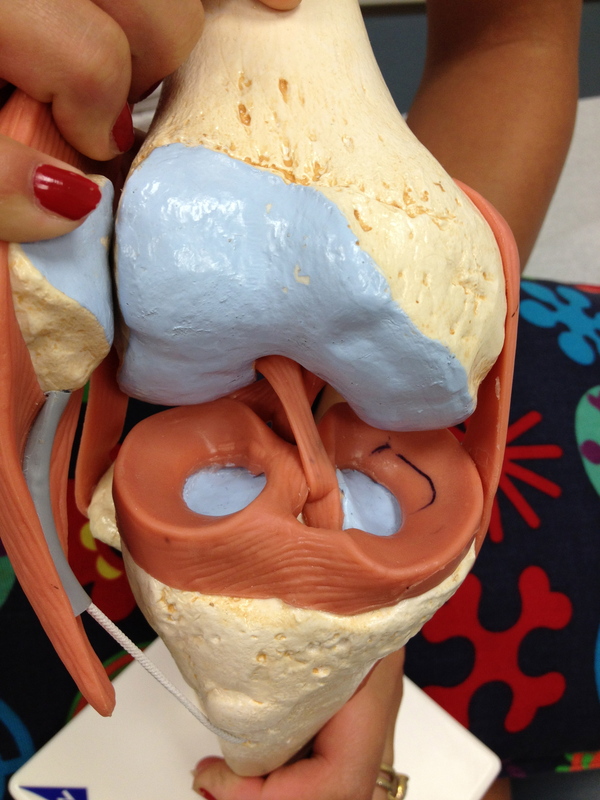 The outer rings surrounding the blue dots are the meniscus, the ligament connecting the centers of the two bones is the ACL (torn and torn). The before and after shots with the surgical scope. Ahhh, technology! She did great, per the surgeon (you almost could have lost your life lady), and all I could think of when I was pacing around the hallways cray cray like, was how I wanted to lay eyes on her, and hold her, and rub her hair, and kiss her. 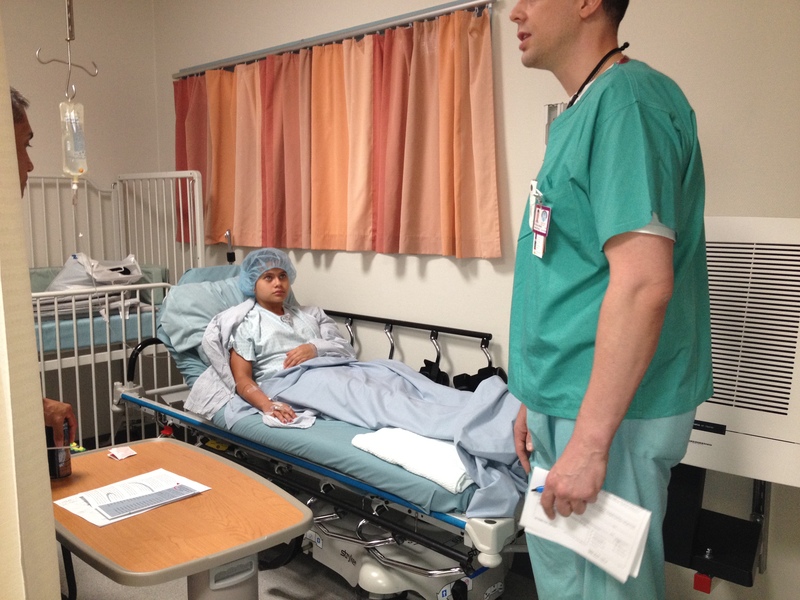 It was a relief when I able to go into recovery and lock eyes with her face. She looked completely loopy (as I knew she would be), slightly exposed (those damn gowns), lips somewhat dry, and absolutely beautiful! How blessed I am to have such a strong and healthy girl. After she came down off of her high (I wonder how many of those percs she’s really gonna need by the way) and put some actual clothes on, she had to go potty (prerequisite to discharging from the hospital). We finally were able to take her home and she immediately fell asleep and slept for about 24 hours. I made her some of my chicken soup and that was it…lights out. 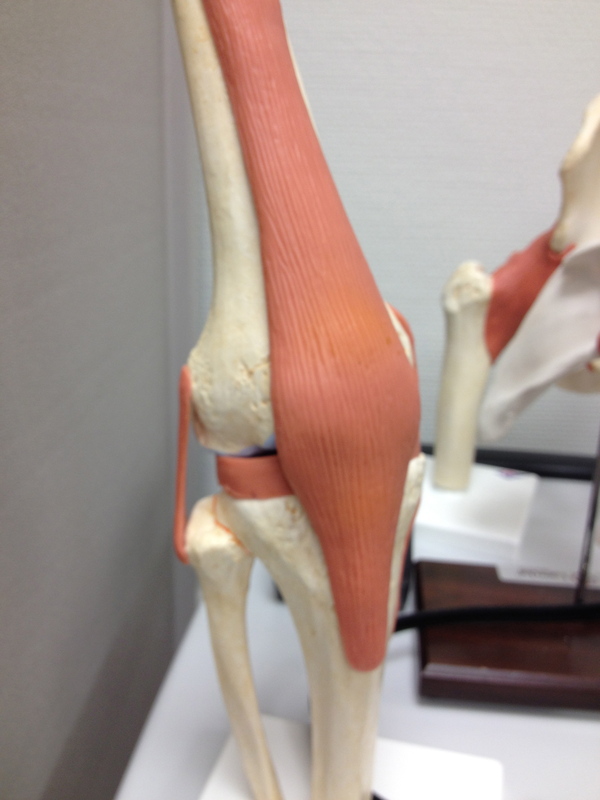 Yesterday she was able to shower and so we unveiled the knee and it wasn’t as bad as I was envisioning. Once again, the surgical team did a great job taking care of her (nobody goes into this game hoping to be cut, right?). She had six wounds and with that, absorbable stitches…thank goodness. 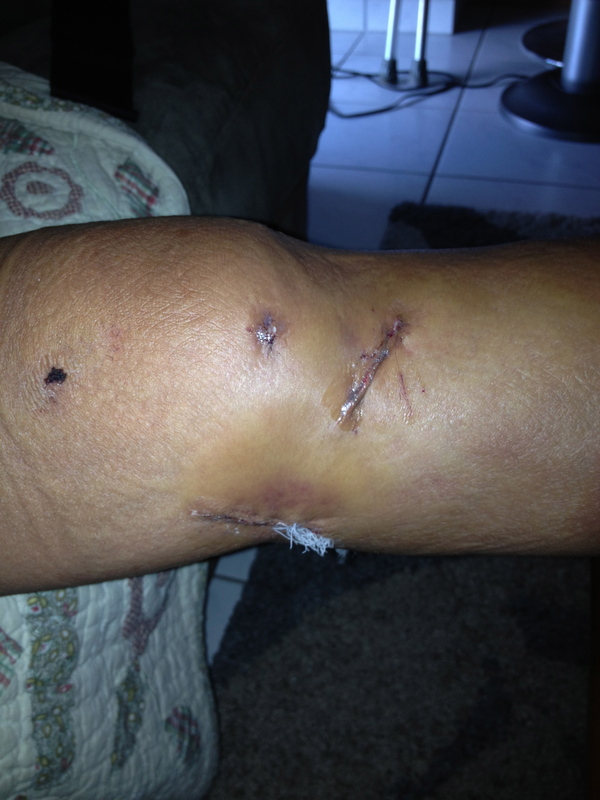 Two days after surgery she was able to remove the dressings and shower! Six incisions…poor thing! The days have been peaks an valleys overall, some vomiting here and there (those meds) and headaches. 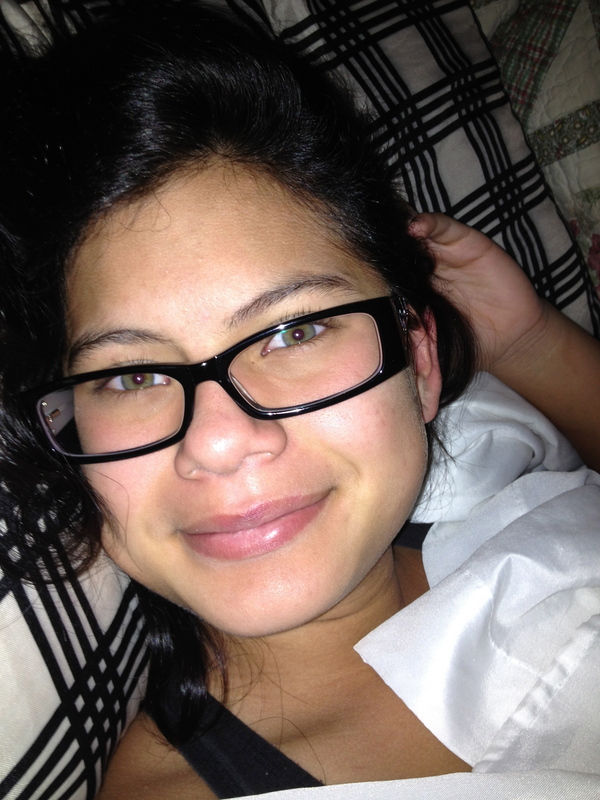 But also, some good rest, pampering, a new pair of glasses, and awesome visits from her girlfriends so far. She is one lucky girl to have so many people who care and support her. 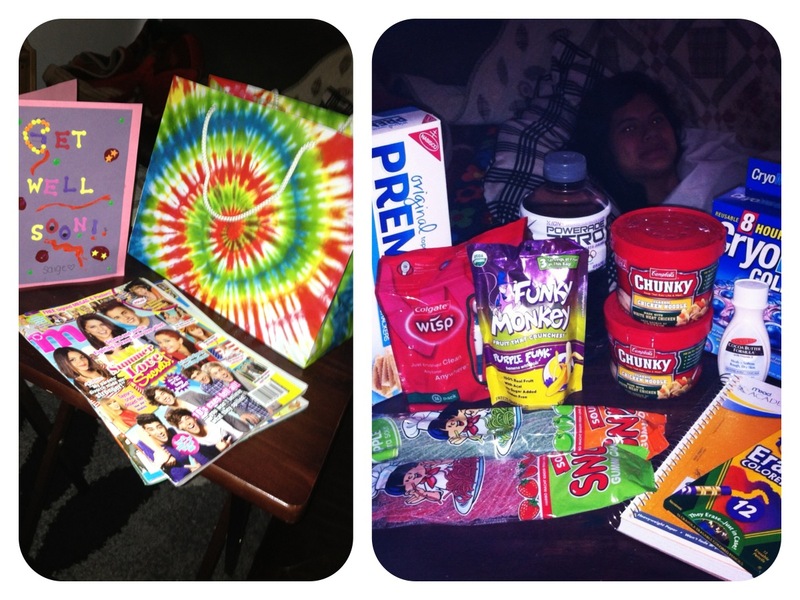 She got visits from her girlfriends and lots ‘o get well goodies. Thx Schultz and LIggins! Another bright side, someone’s new glasses came in yesterday.